Before cooking hats fresh chantarelle mushrooms wash and dry. You can also soak the chanterelles in cold milk for 1-1.5 hours. Chantarelle mushrooms thrown into the cold water to provide sufficient water to the mushrooms were completely covered it. Chantarelle mushrooms cook for 20-25 minutes. Time start to count from the moment of boiling water. In the event of doubt as to the species of mushrooms cooked replace the water during cooking (1-2 times) or give up their consumption! If we do not have any doubt, changing the water during cooking it is not necessary. When cooking, we take off the foam. At the end of the cooking water with salt. For flavor you can add pepper, ginger, allspice, nutmeg, marjoram, bay leaf. Cook covered. Cooked mushrooms are soft and delicate. 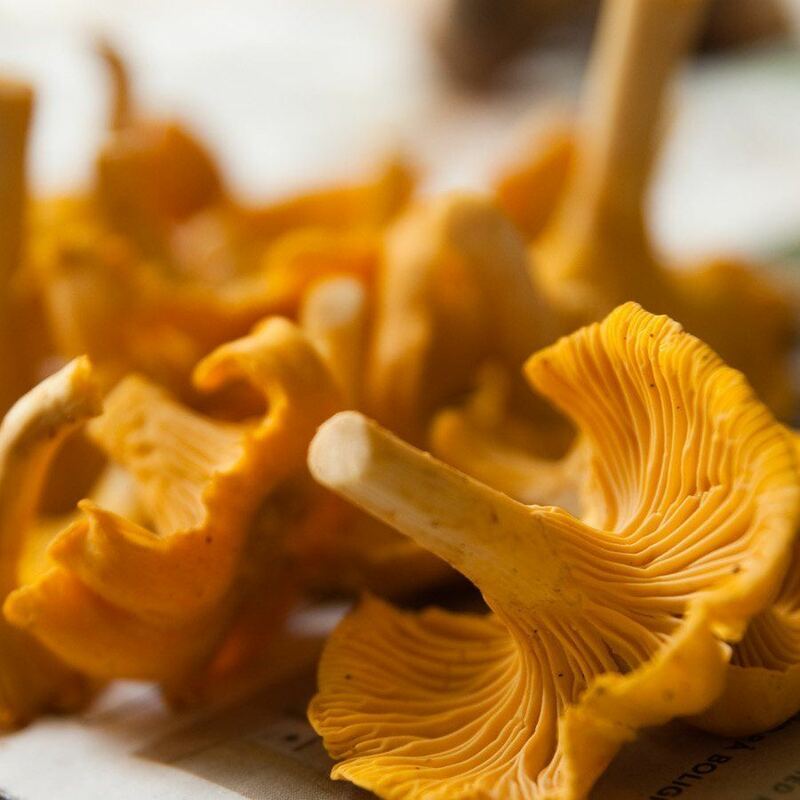 When cooked, drain off and dry the chantarelle mushrooms. Chantarelle mushrooms can be a treat or added to other dishes (groats, rice or vegetables). They can also be very good main ingredient of mushroom soup, sauce or marinade.